Is Your European Broker Licensed and Insured? Not all countries require licensing of their yacht sales professionals. Working with a licensed broker ensures all of the critical communications and information flow between you, other brokers and the potential buyers are handled properly. 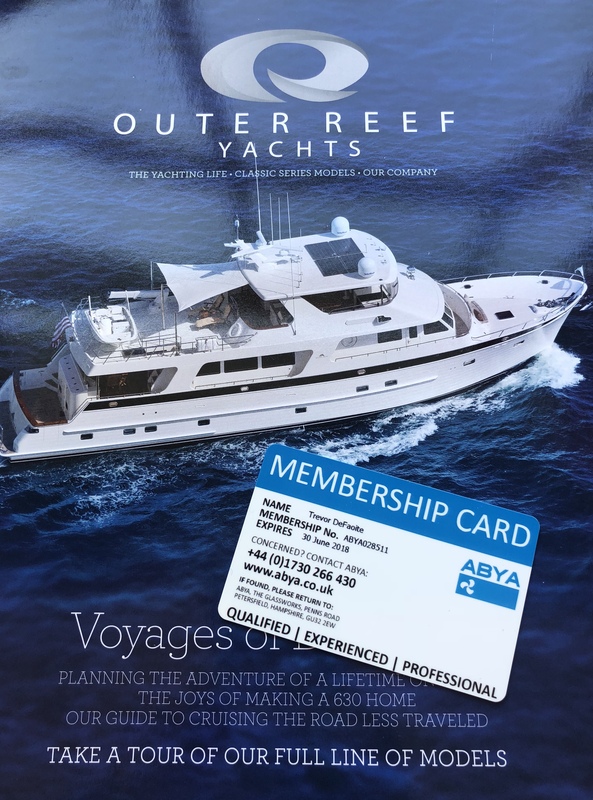 Our European Sales Director, Trevor de Faoite is licensed and ensured through ABYA (Association of Brokers and Yacht Agents), thereby helping his clients avoid the liabilities, disadvantages, monetary risks of working with those who are not licensed and insured. To inquire about a new Outer Reef Yacht or to list your yacht with a licensed, experienced, and proven yacht broker, contact Trevor today at trevor@outerreefyachts.com.